Moving is a big change for your children, and they may not be as enthusiastic as you are about it. It is not easy for children to say goodbye to familiar surroundings such as their bedroom, neighborhood, and school. The key is to get your kids excited about moving, and the following tips can make moving a positive experience for your little ones. Involve Them In House-Hunting: Plant the seeds for excitement by involving your children in the house-hunting process. Start by asking them to help you narrow down your favorite listings online. Allow your children to attend tours with you so they can get a glimpse of their possible new home. Glancing at their possible bedroom or backyard could increase their excitement a bit. Create a New Home Wish List: This is something the entire family should do at the beginning of the house-hunt. Creating a wish list gives you an idea of what your children want in their new home, from a big backyard to a nearby playground. Compare the lists and try to find a home that grants at least one common wish among the family. Your children will be excited to learn they are moving into a home with the big backyard they have always wanted. Create a Moving Playlist: Everyone knows that music can brighten even the saddest mood, and creating various playlists can add a fun vibe to the moving process. It is important to stick to upbeat songs rather than slow ballads that may dampen their mood. You can even ask your children to help you put together different playlists, and do not forget to dance around as you pack or clean. A small gesture such as music and dancing can go a long way when creating a positive moving experience. Encourage Them To Plan Their New Room: Planning their new bedroom is a great way to get your children excited about the move. Start by showing them a picture of their bedroom or letting them glance at it during the open house tour. Let them look through paint swatches and come up with a color scheme for their new room. You may even decide to let them pick out decals and posters for the walls. Turn this step into an art project by letting them map out their bedroom, and try to match their new room as close to their map as possible. Give Them a Checklist of Tasks: Another way to increase their excitement is to let them help with the move. Giving them a checklist of simple tasks will make them feel like your official assistants for the day. A checklist for younger children may include packing up their toys and labeling the boxes, and a checklist for older children may include packing seasonal decor and taping the boxes shut. Remember to thank your child and let them know they have been a big help throughout the process. Check Out Your New Neighborhood: Plan an afternoon to check out your new neighborhood before moving day. You can show your children their new home, backyard, and school. Be sure to point out the fun areas such as the neighborhood playground, toy store, and ice cream shop. Those little spots will make your children feel excited about their new neighborhood. It is important to keep your children busy and take their feelings into consideration to get them excited about moving. Getting them involved with the move, creating a playlist and checking out the neighborhood can increase their excitement. 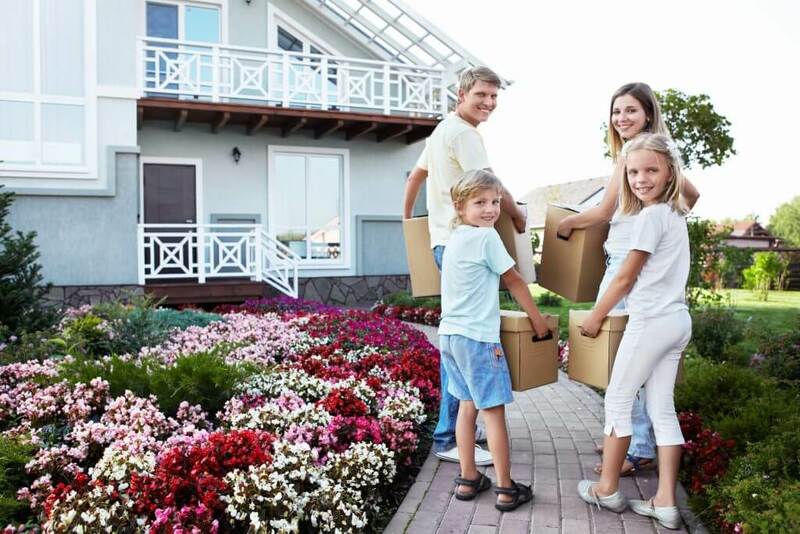 Remember, moving is a big change, and the whole family is in it together.